Breaking news: secret US diplomatic cables tell us there’s corruption in Afghanistan. Ahmed Zia Massoud, Afghanistan’s former vice-president, was found to be carrying $52 million in cash – which a message from the American Embassy in Kabul, made public by Wikileaks over the weekend, said he was “allowed to keep without revealing the money’s origin or destination”. Back in 2007, Arab newspapers had reported that unidentified Afghan officials had been held in the UAE with several million in cash and antiques. 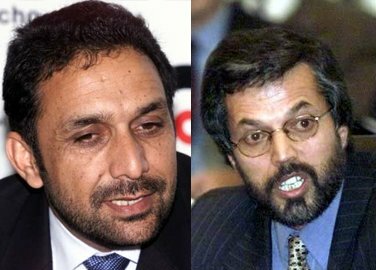 The Afghan television station Ariana later named Mr Massoud (left) and Yunus Qanuni (right), the speaker of Afghanistan’s parliament. But wait a minute: I’d read that already, and not in the thousands of diplomatic cables released by Wikileaks. For all the column inches of space that are being lavished on the Wikileaks cables, the secrets they contain are spectacularly underwhelming. There’s a lot more to be learned about the world around us from nothing more secret than old newspapers than from the treasures Julian Assange has brought up from the beast’s lair. The tale of Mr Massoud’s cash-laden suitcases is a case in point. 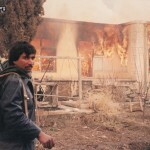 Back in 2007, Arab newspapers had reported that unidentified Afghan officials had been held in the UAE with several million in cash and antiques. The Afghan television station Ariana later named Mr Massoud and Yunus Qanuni, the speaker of Afghanistan’s parliament. Both denied wrongdoing. Even if I hadn’t known about the tale, I’d still learn much more from reporters for The Washington Post and the New York Times on Afghanistan’s corrupt elite than from Wikileaks. The United Nations kindly hosts a very helpful history of the relationship between corruption and state-building in Afghanistan. According to the Nye(ph) Center for Open Media, since 2001, more than 250 journalists have been threatened, kidnapped, beaten, arrested and/or killed. Siddiqullah Tawhidi, the director of Afghan Media Watch says Afghan government officials were blamed for 55 percent of the incidents, 16 percent were blamed on Taliban militants, and 26 percent were attributed to unknown armed groups.